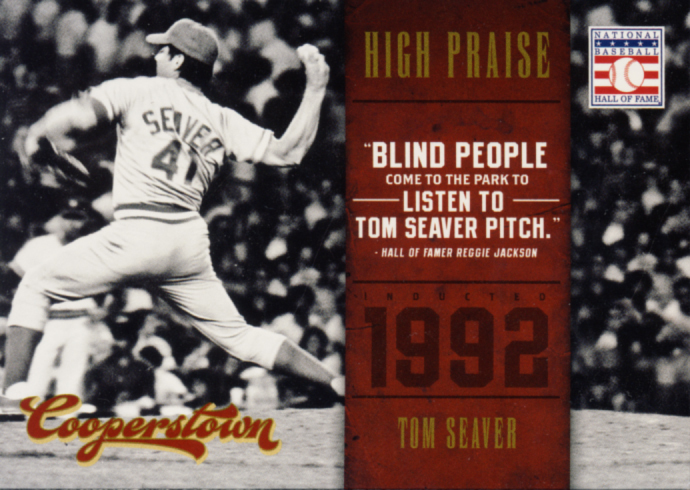 Thematically the design of these cards is perfect. 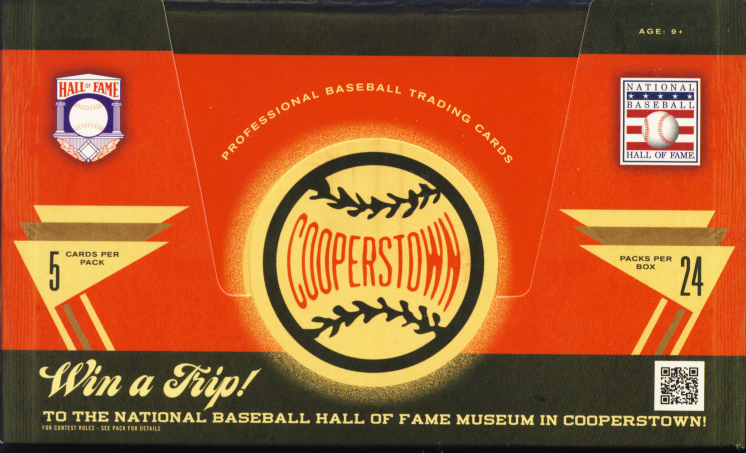 Information dominates these cards, as it should. 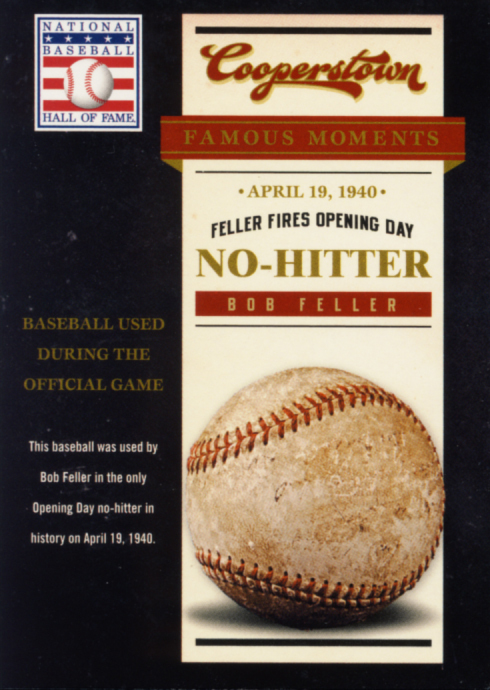 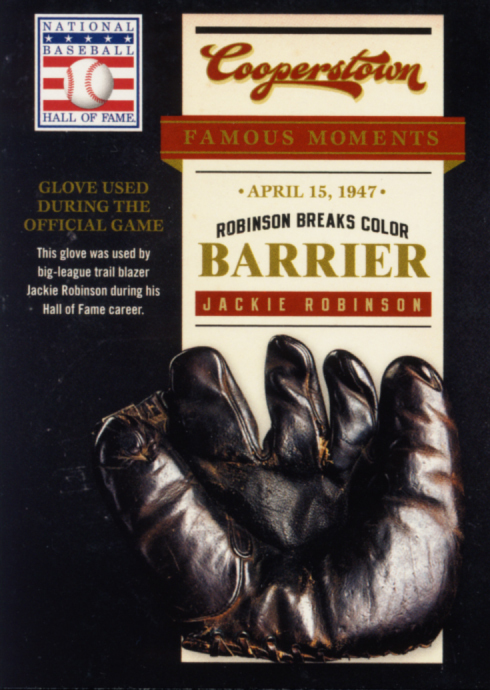 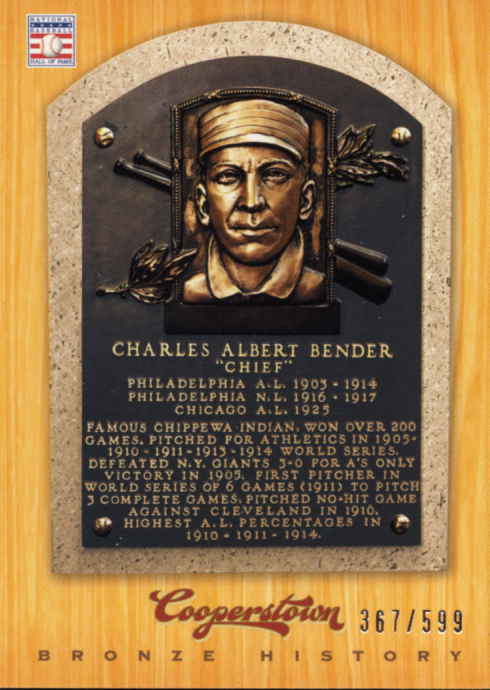 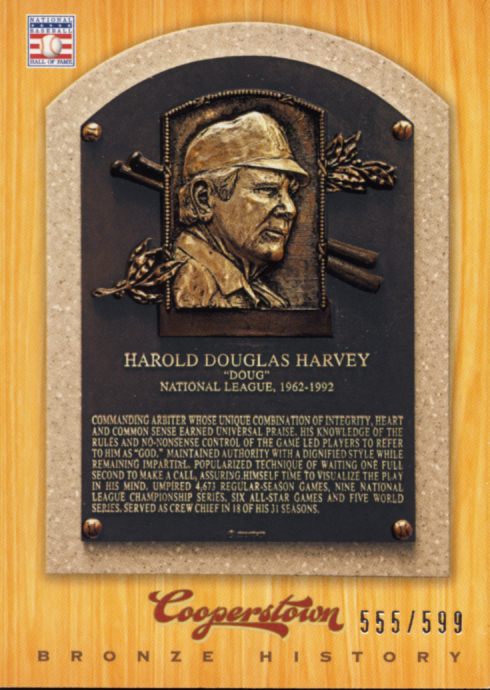 For the inserts, everything from the Famous moments to museum pieces to the induction and bronze history cards follow the theme. 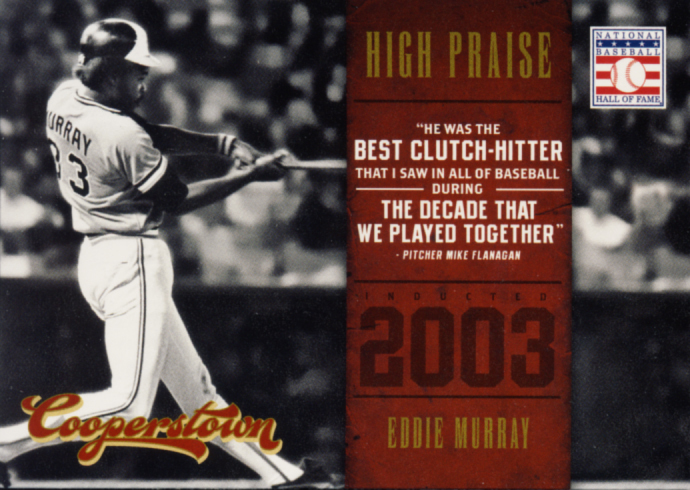 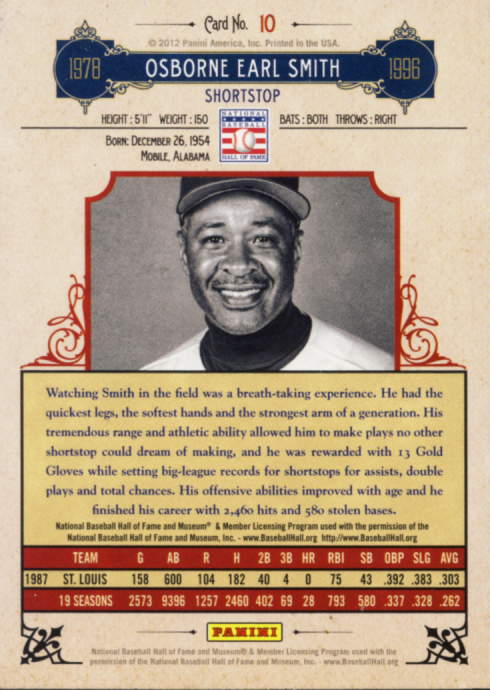 The hit cards are simply designed which shows gives the autographs a great platform. 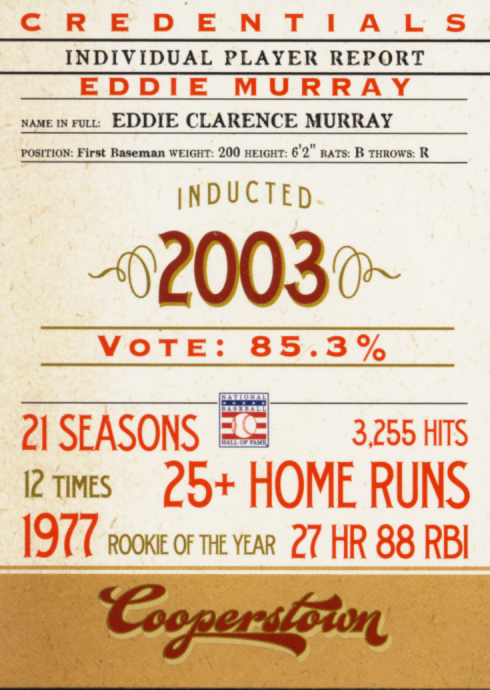 No brainer here. 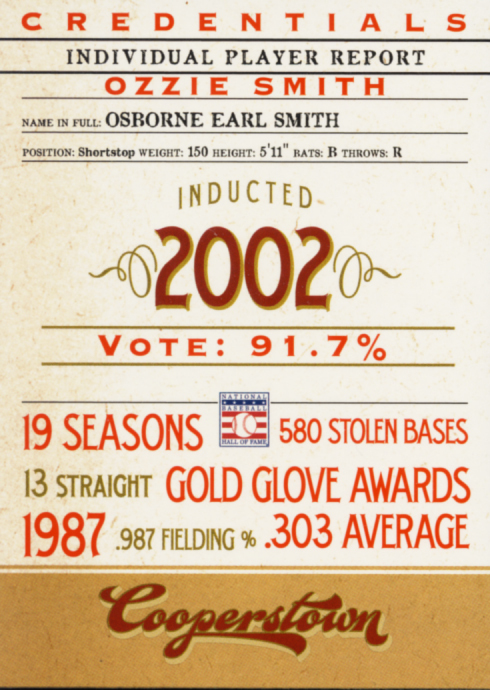 The checklist is comprised completely of Hall of Famers. 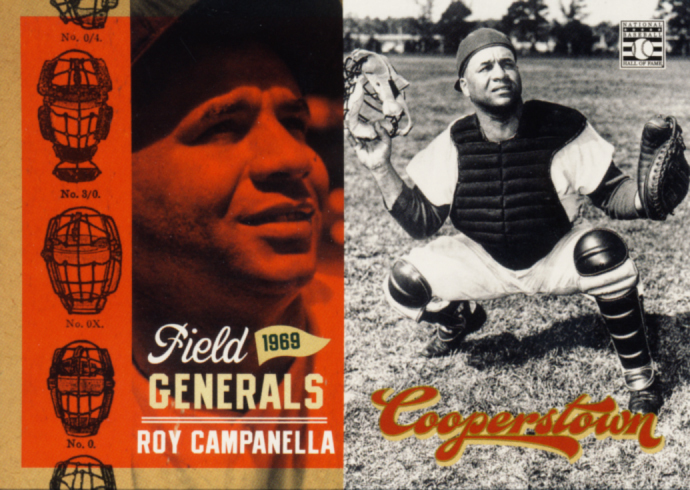 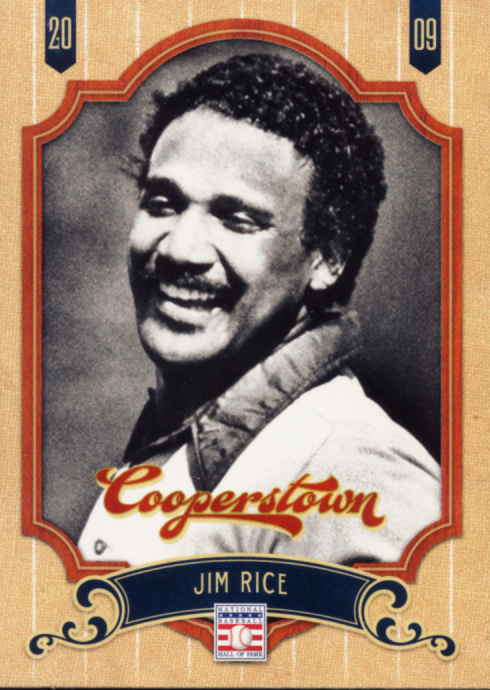 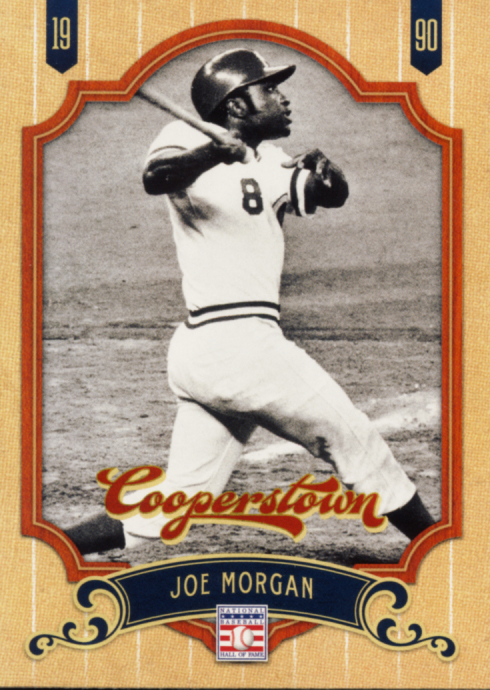 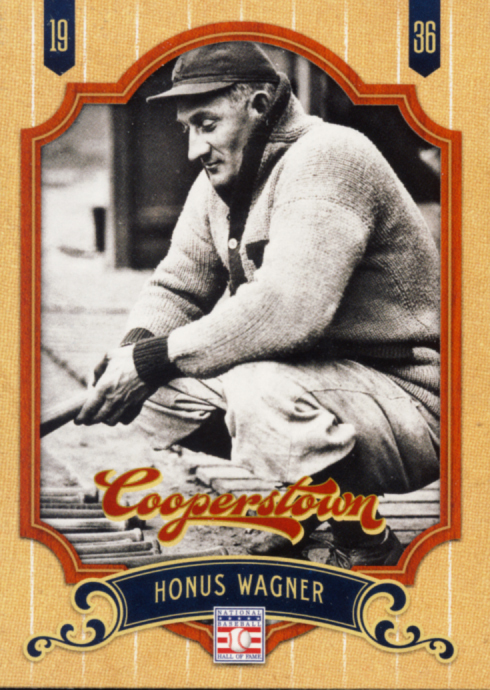 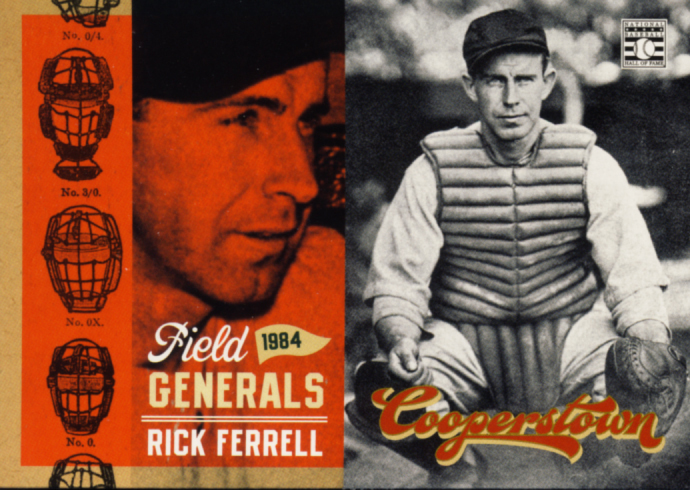 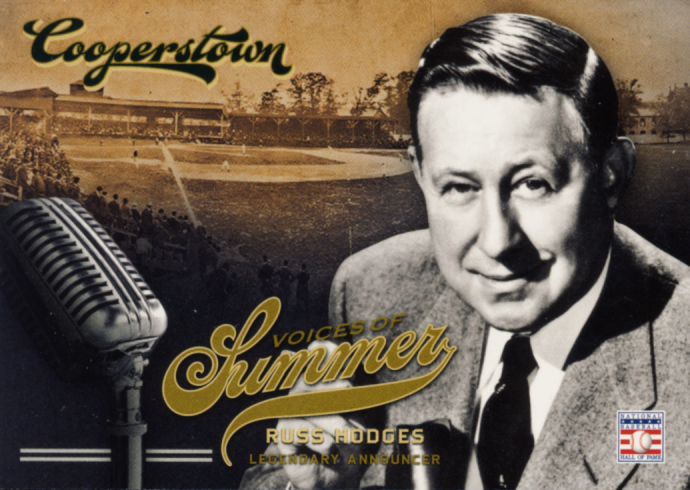 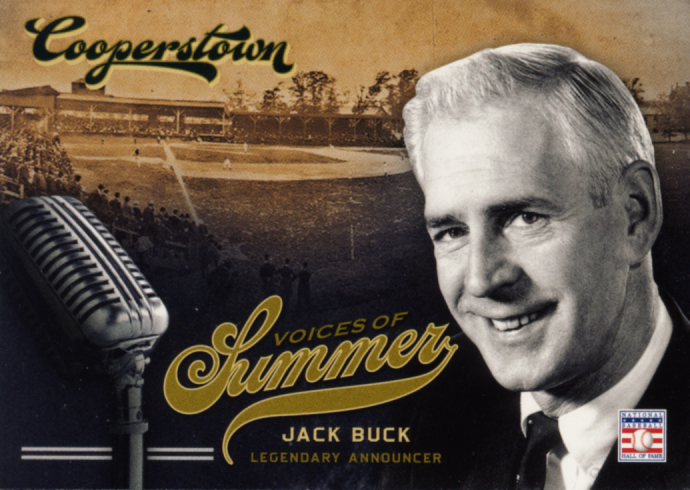 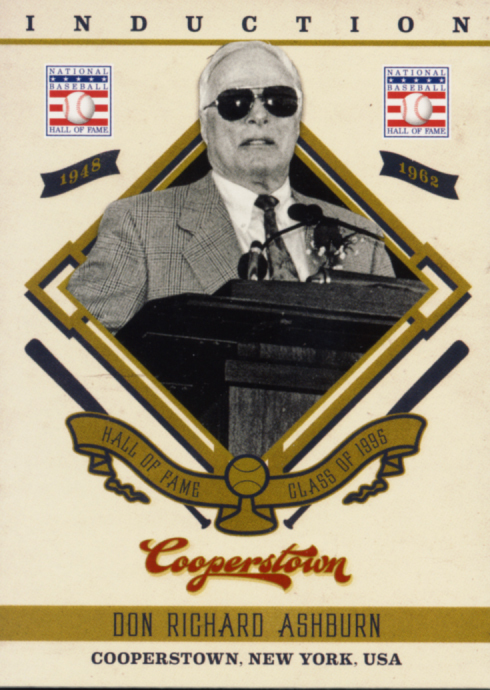 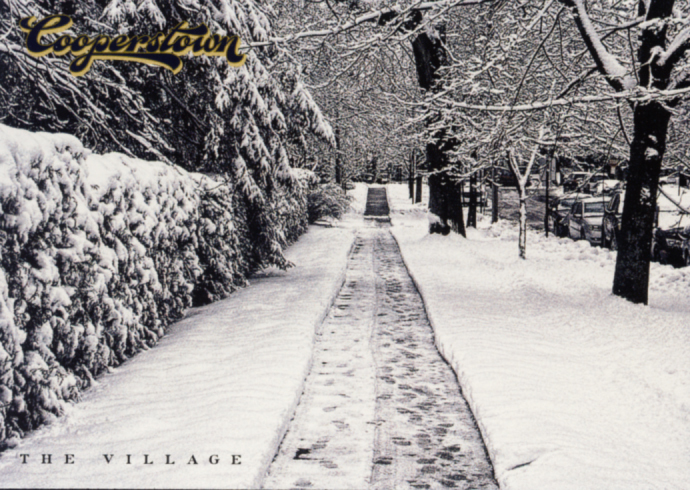 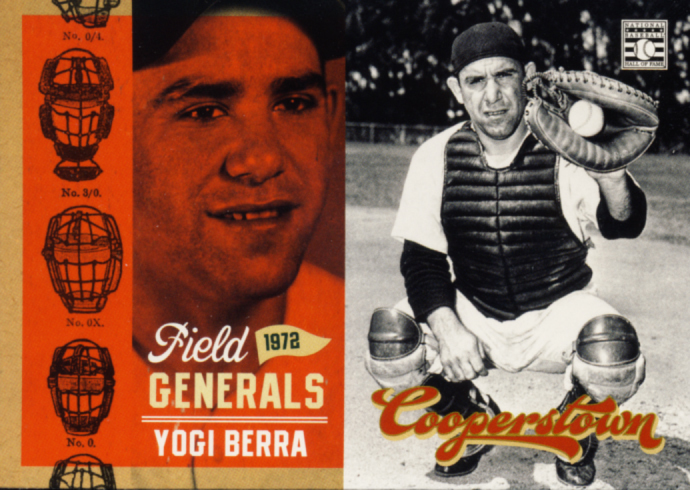 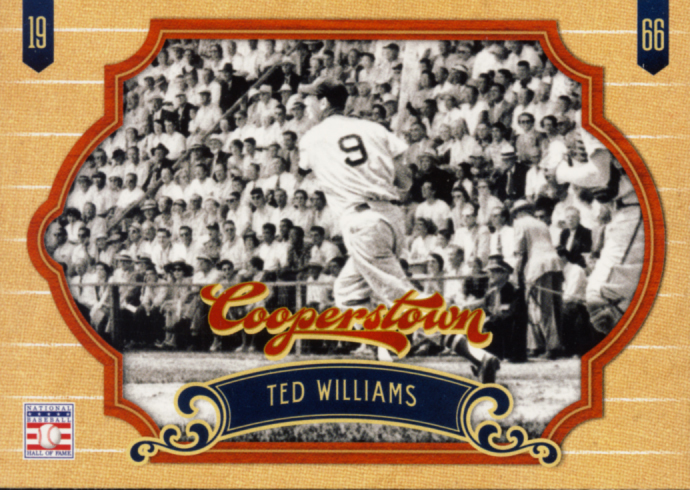 What more could a set about Cooperstown need? 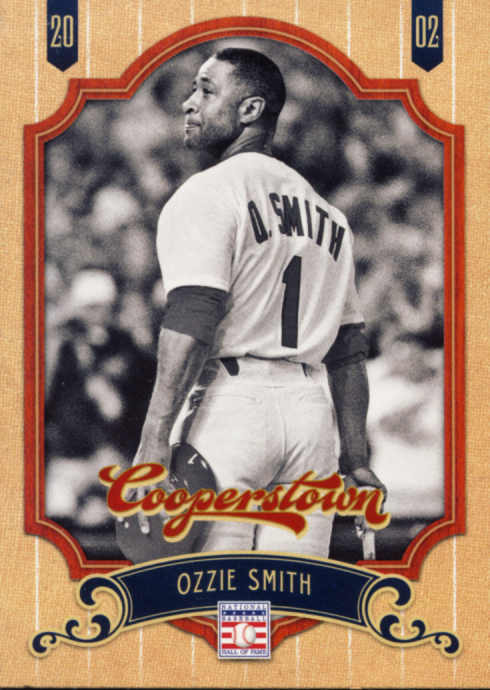 Kudos to Panini for resisting the impulse to add future Hall of Famers to this list. 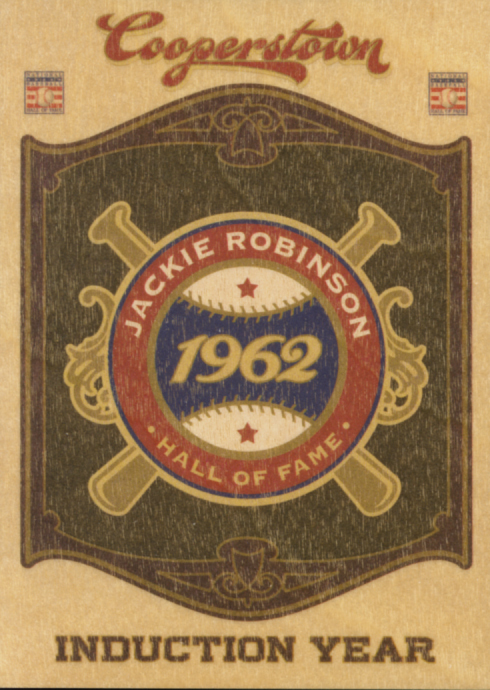 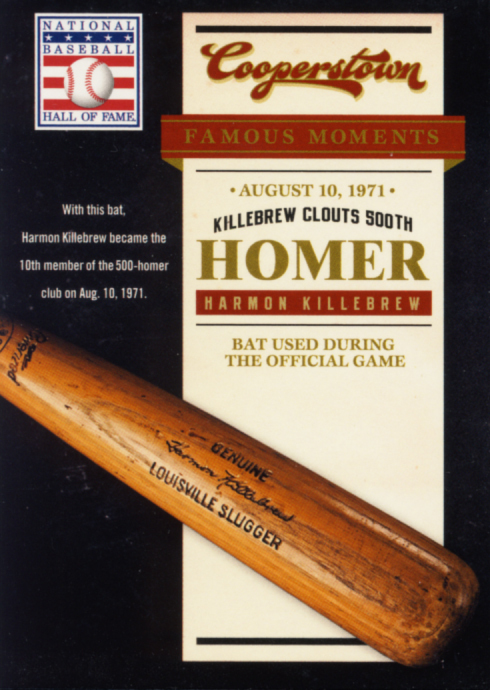 In respect to the Hall you wont find any relic swatches here, a fantastic choice. This is an all-autograph hit set, very refreshing. 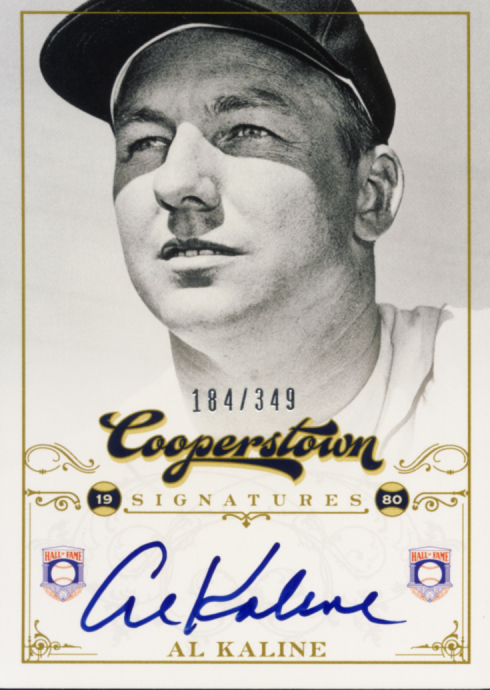 Easy to pull of when you are dealing with signatures from Hall of Famers like Yogi Berra, Johnny Bench, Wade Boggs, George Brett, Lou Brock, Rod Carew, Gary Carter, Tony Gwynn, Reggie Jackson, Ernie Banks, Andre Dawson, Stan Musial, Jim Palmer, Frank Robinson, Carl Yastrzemski, Mike Schmidt, Cal Ripken Jr,. 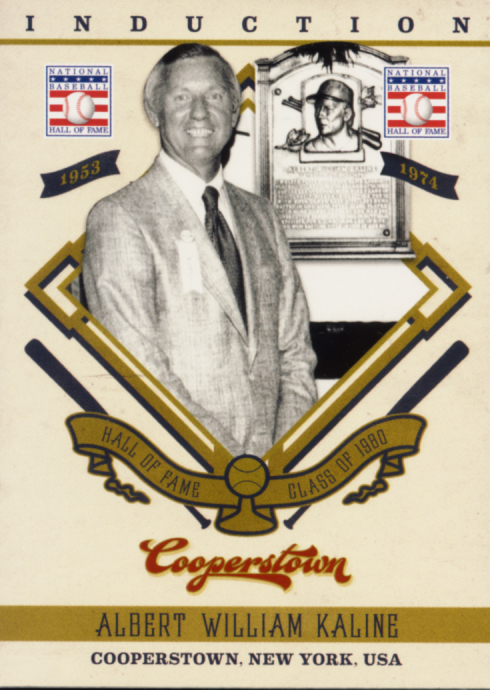 Brooks Robinson, Nolan Ryan, Rickey Henderson and Vin Scully to name a few. 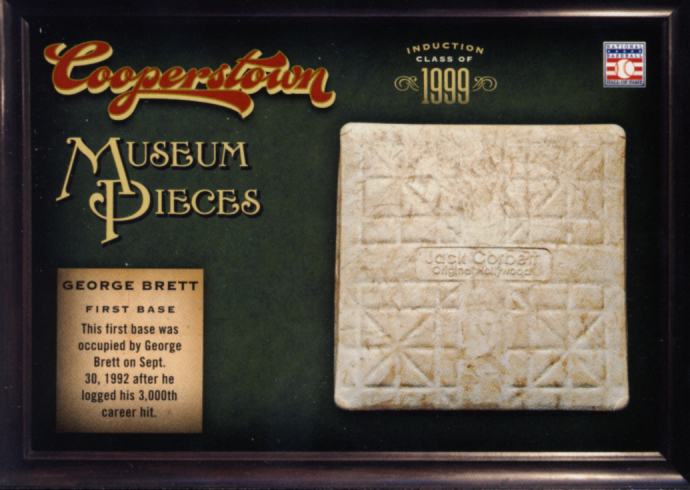 This is a fabulous set for baseball history buffs and set builders. 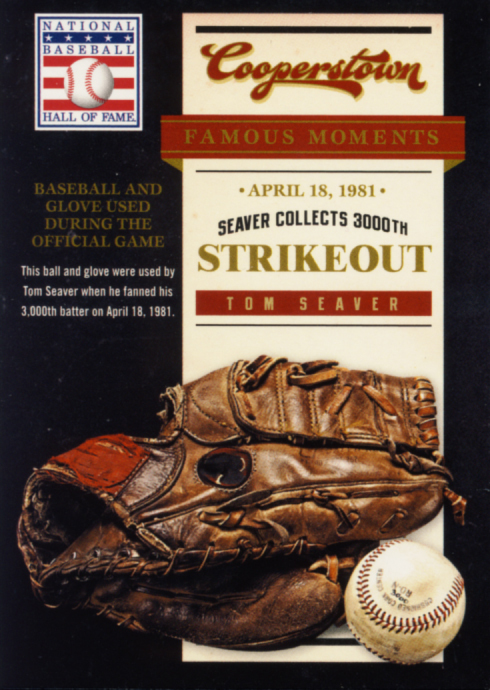 You will definitely want to secure a master set but there are plenty of levels of collecting here is you can’t obtain them all. 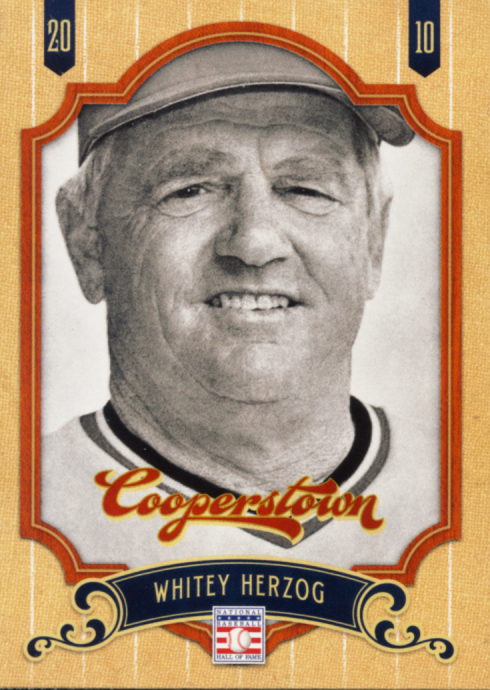 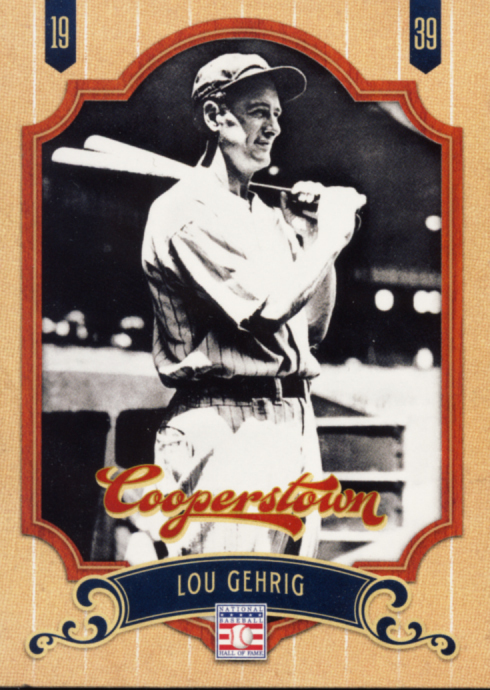 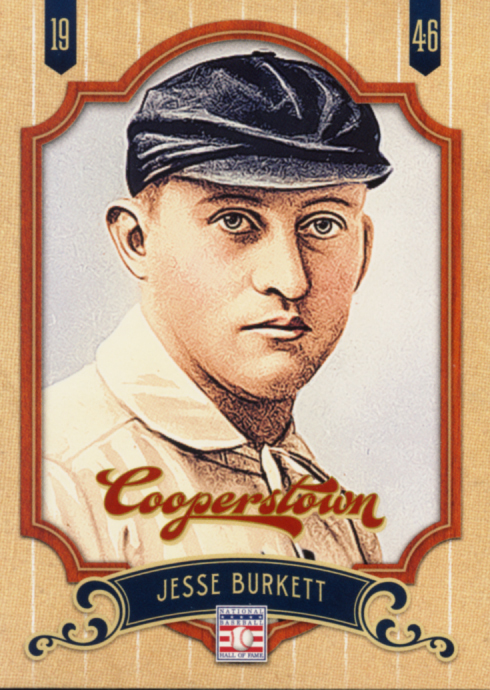 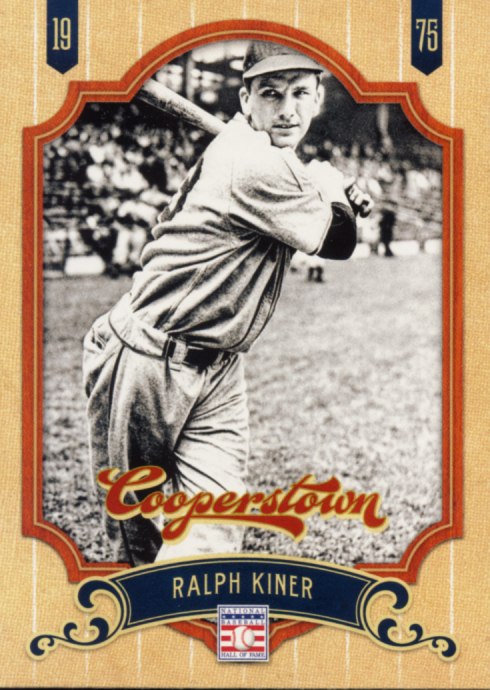 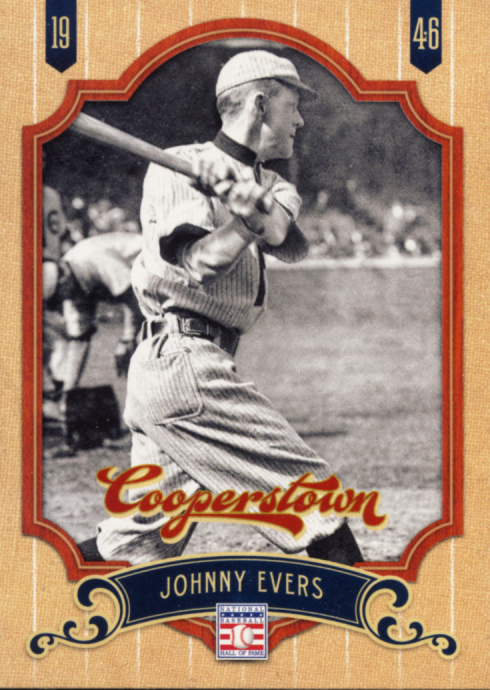 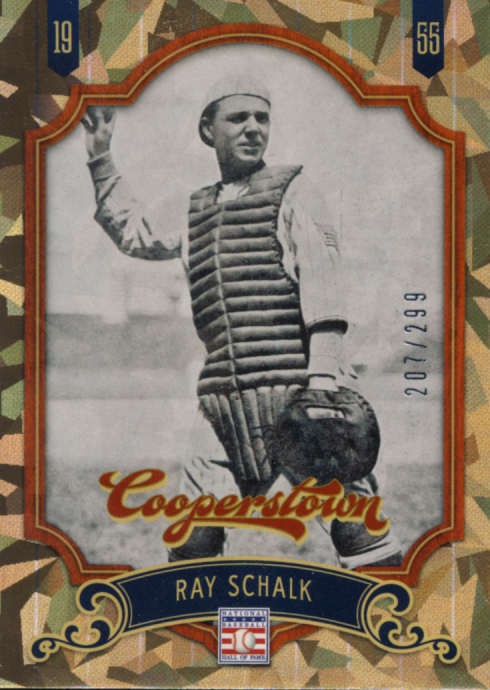 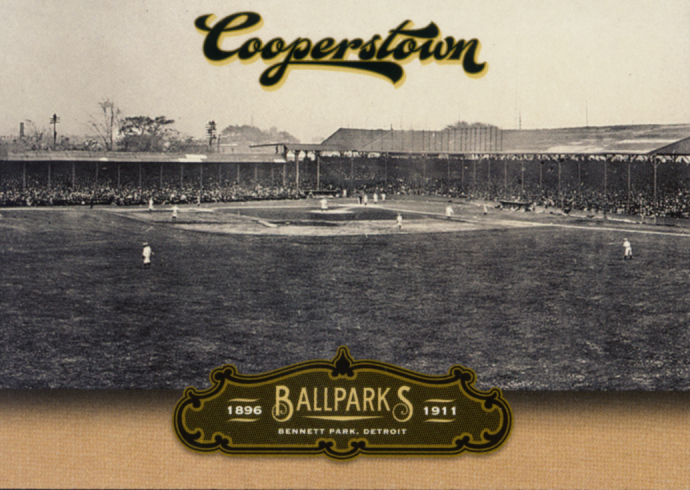 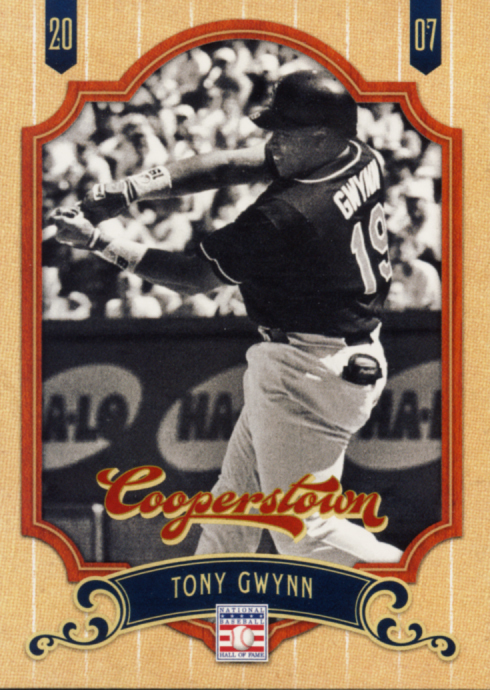 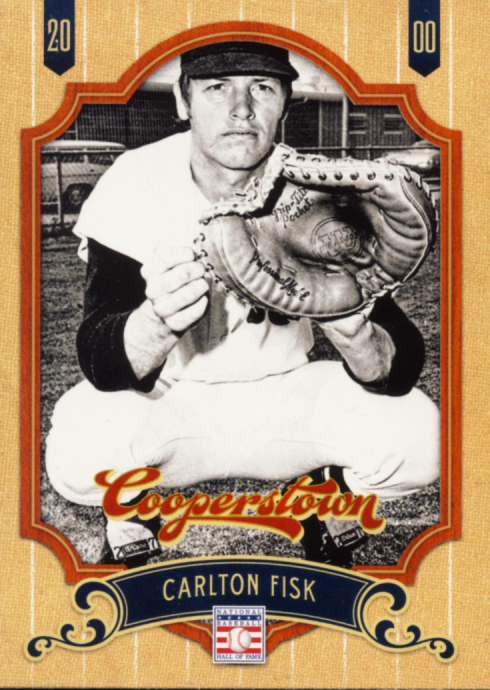 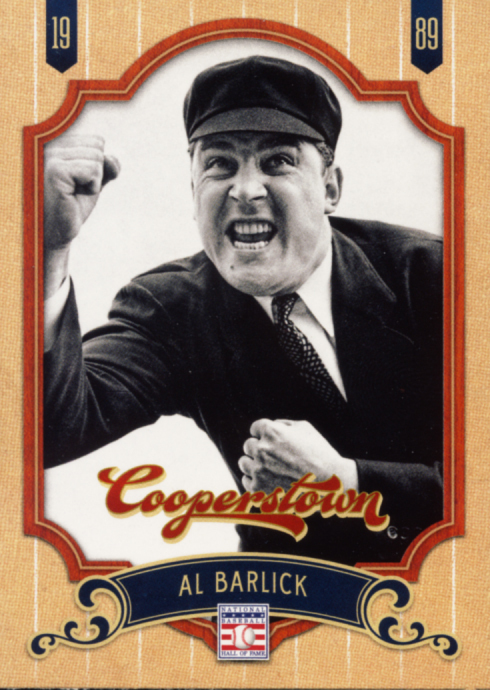 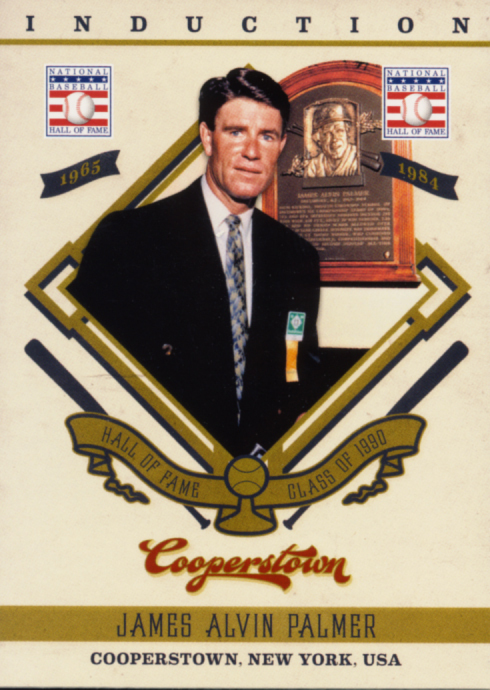 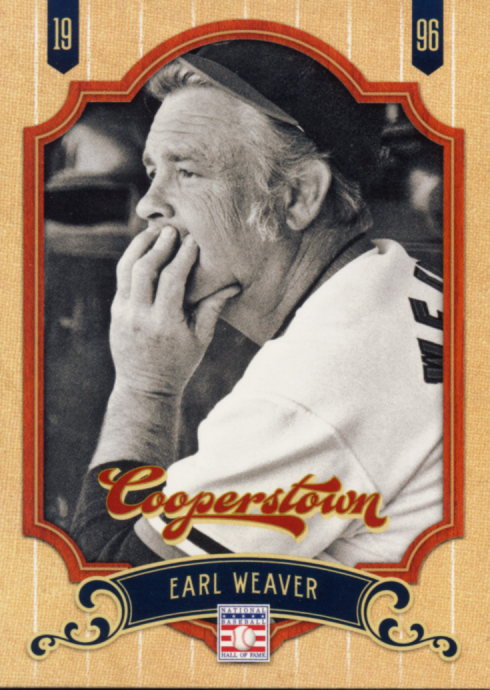 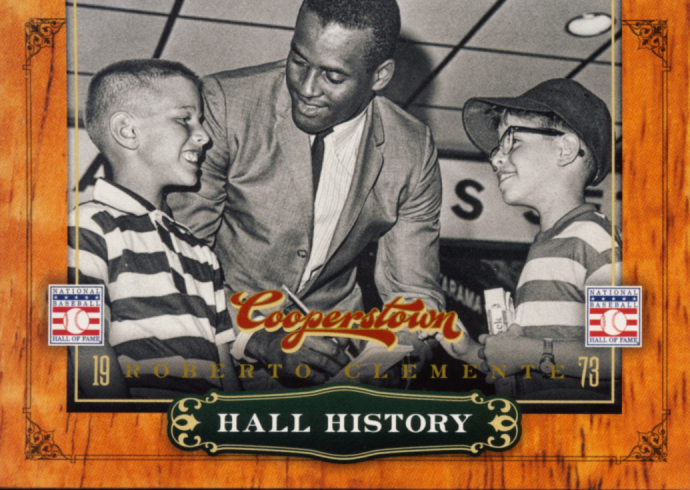 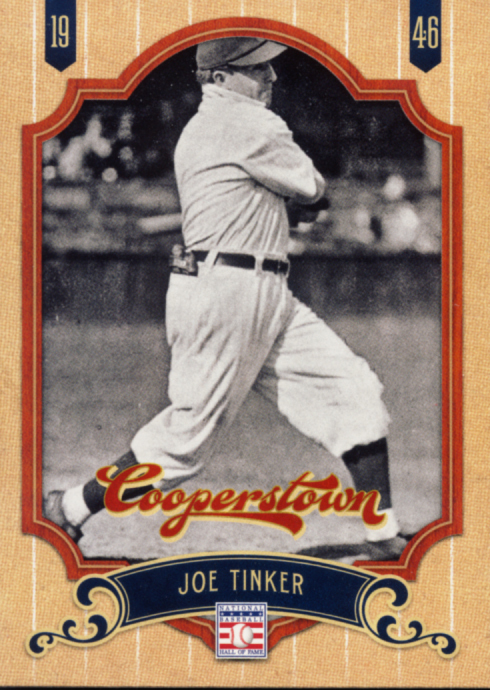 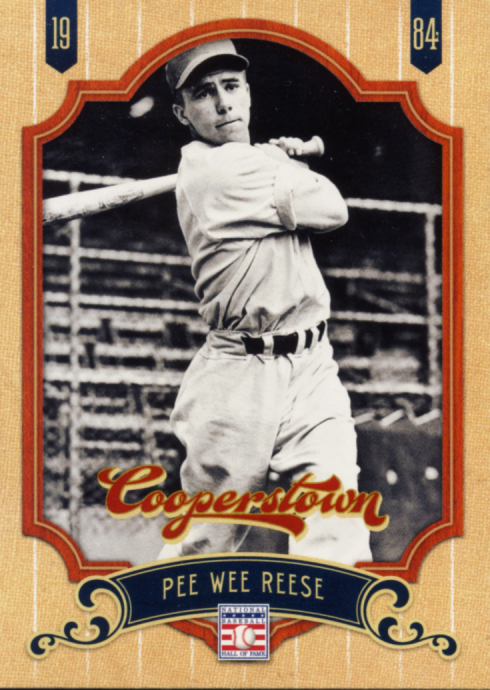 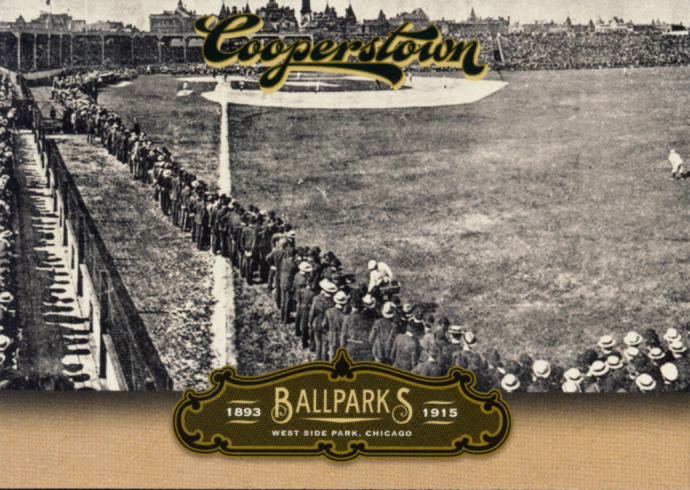 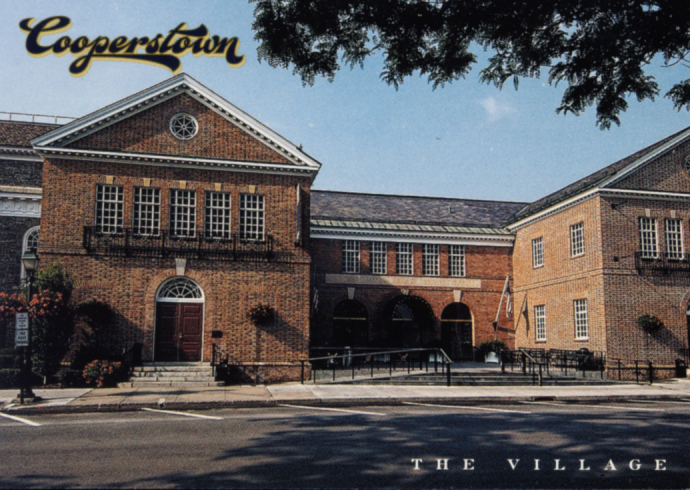 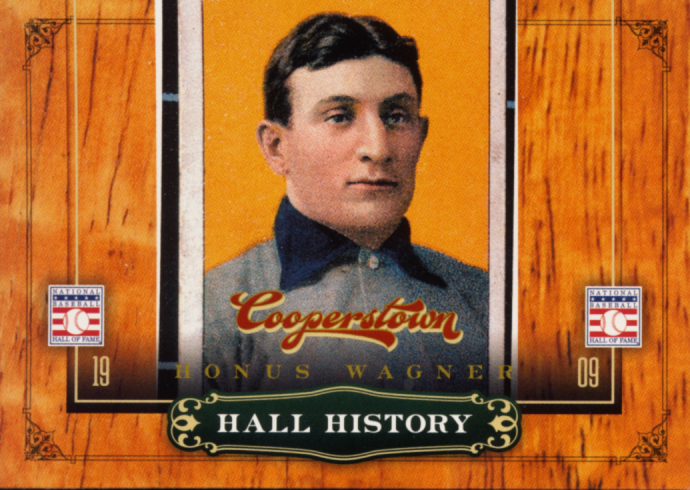 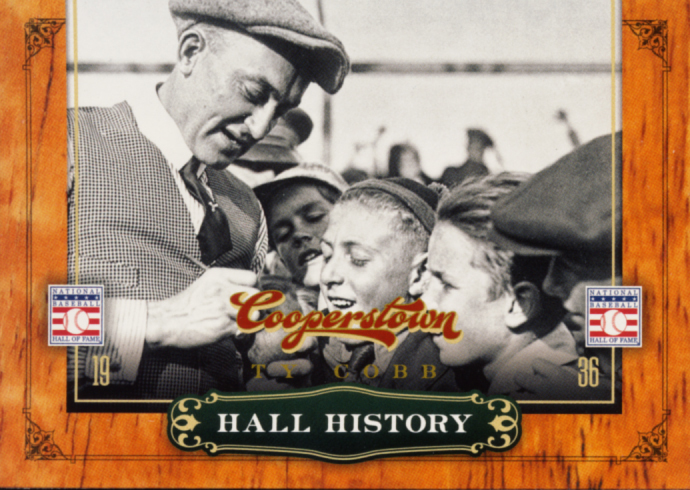 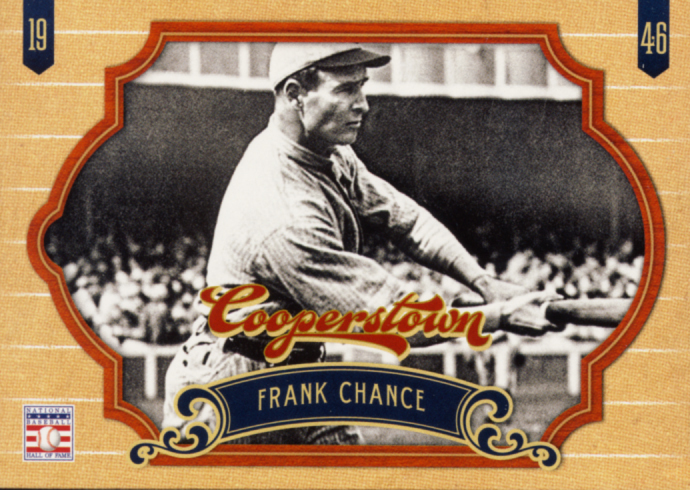 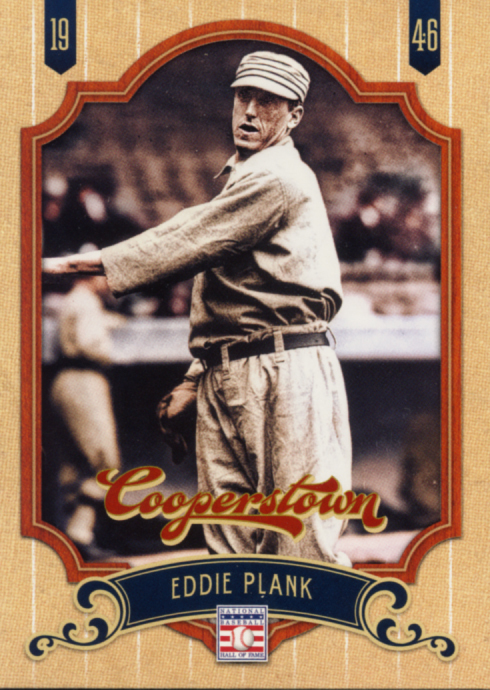 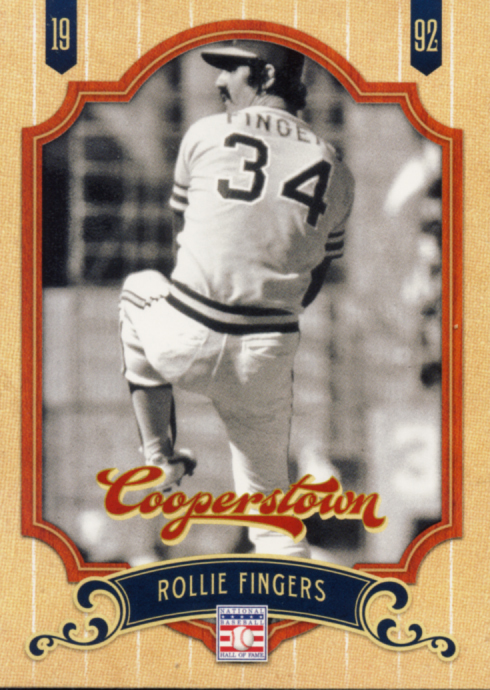 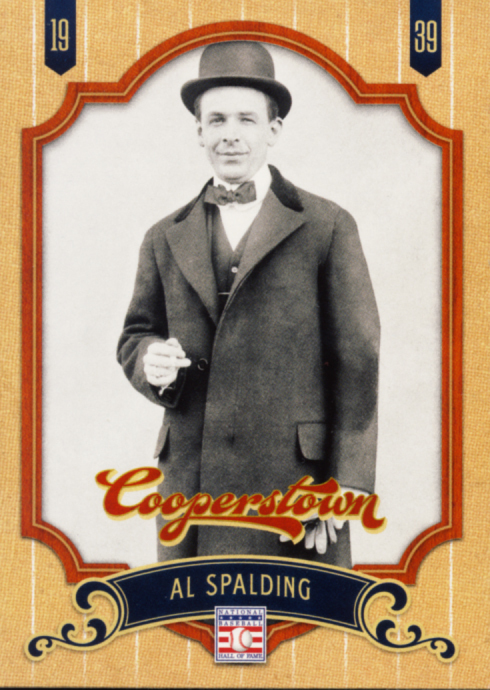 2012 Panini Cooperstown Baseball captures the spirit of the Baseball Hall of Fame and is a must purchase for collectors who love the history of the game. 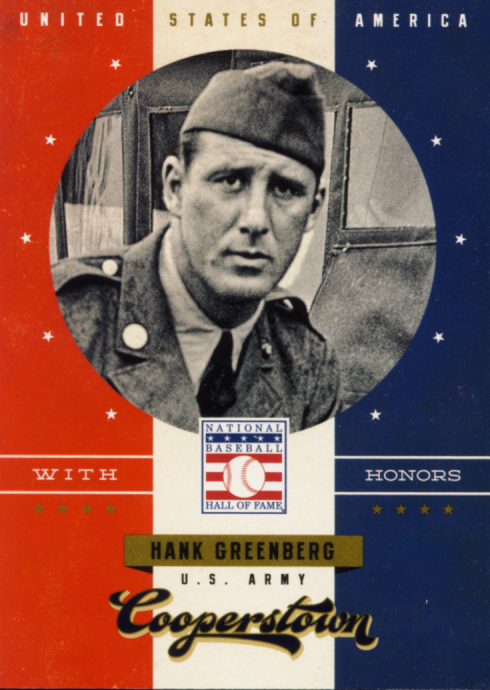 I'm not a fan of Panini, but I love the Field General cards. 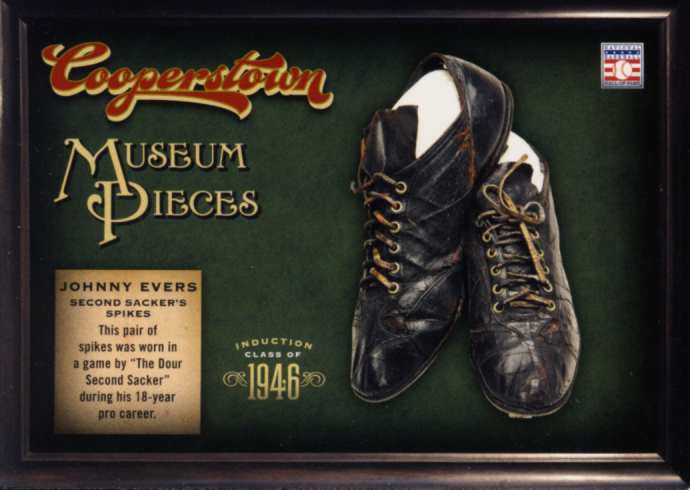 Absolutely love 'em! 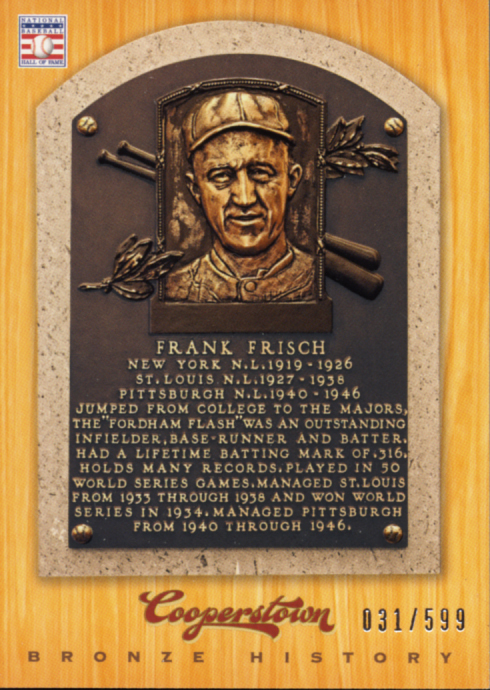 Thanks for showing some off.